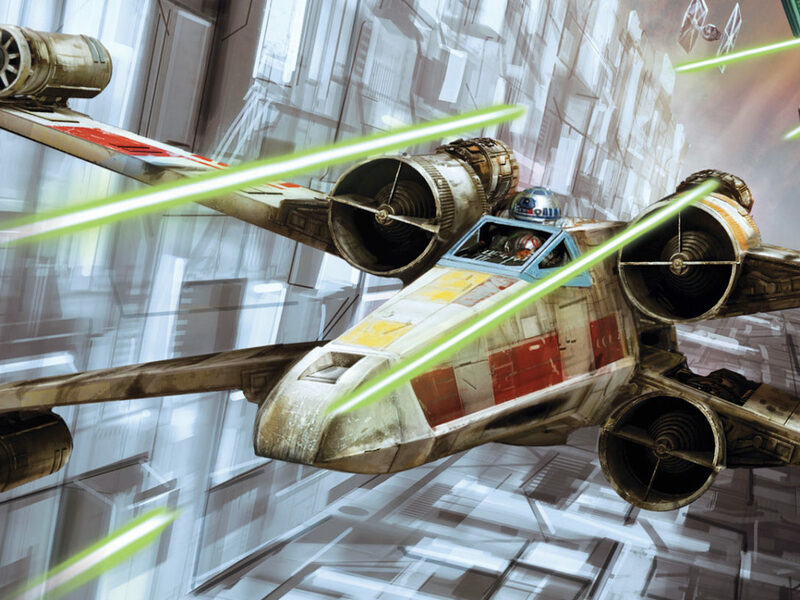 The Fantasy Flight Games Star Wars RPG designer talks about incorporating the Clone Wars, the Wheel, and much more! Game designer Sterling Hershey has worked on Star Wars roleplaying games for West End Games, Wizards of the Coast, and Fantasy Flight Games. He’s also an architect. In 2013, FFG released his Beyond the Rim, Star Wars: Edge of the Empire‘s first full-length adventure. In the RPG is one of Dak’s Red Five characters, Brun Brux, profiled in the May/June 2015 issue of the Star Wars Insider. 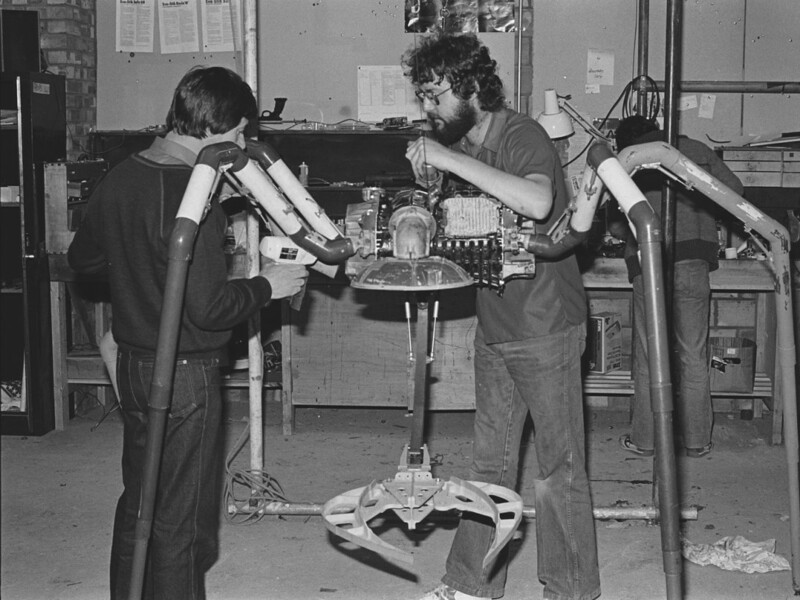 After first meeting at Donna Keeley’s Rebel Legion booth at Celebration Anaheim, Dak and Sterling were able connect later to discuss the architect’s perspective on Star Wars gaming. John “Dak” Morton: Sterling, you are a graduate of the University of Kansas School of Architecture and Urban Planning. Tell me about architecture and how you have made that intersect with Star Wars and gaming. Sterling Hershey: Probably the most obvious way is through cartography. For instance, I use my design training and experience to do a roleplaying game’s map layout or deck plan. Of course, my architecture training is good for designing any structure in a game, a ship, for example. My approach is often to give a spatial start for the stories. The adventures are all based on geography or location. So I’ll first search it out, map it and submit. And then, well, Fantasy Flight’s art is fantastic; their artists take what I have laid out and crank it up to be even better than I was originally thinking. John “Dak” Morton: So, for you cartography is very key to your creative process. Sterling Hershey: Yeah, I was doing cartography way back when I was freelancing with West End Games. I should say as an architect though, I’m also very into area layouts. So I get a real kick out of working with deck plans. I really enjoyed designing the deck plans for the Nebulon B. I’ve recently revisited that. The Nebulon B is the medical frigate that appears at the end of The Empire Strikes Back. 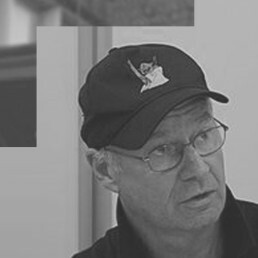 John “Dak” Morton: So, what’s been the range of your writing over the years? Sterling Hershey: Roleplaying games. I’ve done a few short stories incorporated in games. As a rule, I do a page or two to introduce the setting to the players. I’ve written for Star Wars, Dungeons & Dragons, and Savage Worlds, recently on their Last Parsec game setting. I guess I like to write in more of the exploration style. I started a novel, but I’ve been too busy to finish it. Like most game writers, I freelance. My day job as an architect is 40 hours-plus a week. Sometimes that gets really busy. Over the years, I’ve done work on sports stadiums, arenas, minor league ballparks and some world class and major league facilities. I worked on Heinz Field, the Steelers’ NFL stadium. This might interest you, being a one-time Londoner: I worked on the new Wembley National Stadium. John “Dak” Morton: Most impressive. That’s the Yankee Stadium of Great Britain. Nice one. So, Beyond the Rim was the first full-length adventure for the Star Wars: Edge of the Empire game. How did you approach the project, and what makes it unique? Sterling Hershey: So Fantasy Flight Games asked me to write it. They had ideas for tone and an overall theme, but they left the storyline mostly to me. They wanted players to look for something. So I went to the Star Wars Essential Atlas — it’s a fantastic resource — and I came upon some planets I liked, saw one I liked in particular and found out the Wheel could serve as a starting point. I thought it would be a good idea to pick that location for what I had in mind. I wanted to have the characters looking for a ship that disappeared during the Clone Wars. I saw the game as being something like a mystery search in the Bermuda Triangle. John “Dak” Morton: That draws on a lot, Sterling. Is that typical for how you make an RPG cater to different specializations and styles of play? Sterling Hershey: Yeah. Some players like adventure. Some like conspiracies, political intrigue. Some like bounty hunting. Some like to play Force-sensitive characters. Edge of the Empire focuses on these types of stories. Past versions of the RPG had one core rulebook with follow-on books for specific settings, eras, or character types. I should say I also write gamemaster chapters. This version has three game lines. 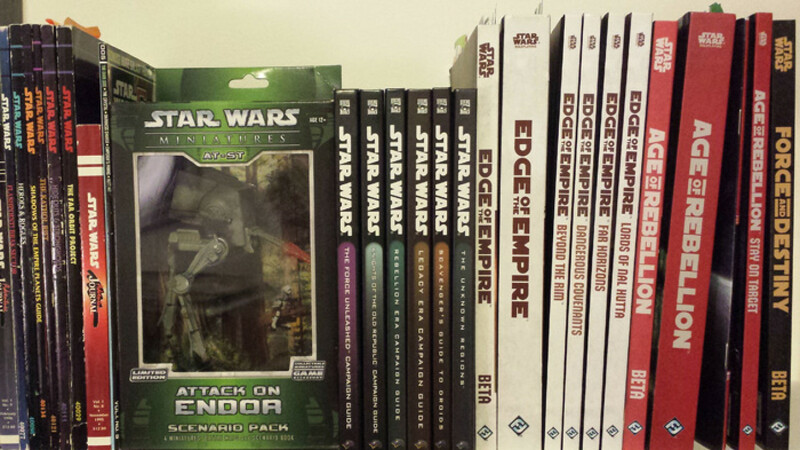 The first was Edge of the Empire, which is a scum and villainy game line that takes place mainly in the Outer Rim. It’s sort of equivalent to Episode IV and deals with the fringes of society. 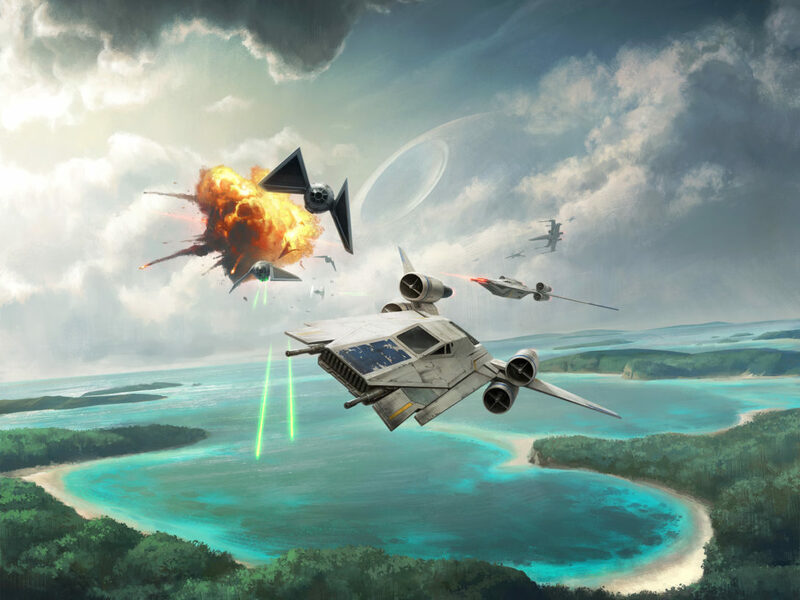 Then the second one is Age of the Rebellion, which is essentially Rebels versus the Empire stories. And the third is Force and Destiny. It’s not your Jedi handbook or anything. It appeals to gamers who are into lightsaber combat and the mystical side of the Force. StarWars.com just previewed it, in fact. It’s about the Force, what you can do with it, and the interplay of the action and characters’ emotional states. I tried to make challenging moral choices for the player. John “Dak” Morton: I think you and Michael Kogge are the only two writers to have something published for each of the Star Wars RPG systems — d6, d20 and FFG. You want to talk about each of the system challenges? Sterling Hershey: Sure. d6 took the approach that a roleplaying game has to be easy to pick up and fast to play, which is good for the action aspects that Star Wars fans want. d6 produced a lot of background material. This was at West End Games and was really the basis of the Expanded Universe. We’re talking around 1987, and there was a lot of freedom then. West End was all into what we called the theatre of the mind. Then d20 came along with Wizards of the Coast who had a different tradition that was more into detail and rules. A lot was based on their Dungeons and Dragons system. It had more game mechanics and used polyhedral dice. d6 used six-sided dice. I worked on their miniatures game line as well. Their Saga Edition version of the RPG was a more streamlined game. With Fantasy Flight, there has been a return to the theatre of the mind approach. They want the games to be faster and with fewer tactical technical details. Also, they’ve taken a more narrative approach. They also use custom dice with symbols, which makes for very nuanced outcomes that depend more on the interplay with player characters. You got more than just win/lose outcomes in a roll. For example, in combat you could miss a shot but then find yourself in a better position to hit somebody else. Or you could hit with a shot, and then find yourself in worse trouble. Things like that. John “Dak” Morton: As you know, I cited Brun Brux in my recent Red Five piece for Insider. Brun was a presence in Tasia’s Tapcaf on the Wheel space station. I guess those that know Star Wars comics know the Wheel, where the Millennium Falcon and the heroes of the Battle of Yavin fled from the Empire. I’m big on tapcafs. @tapcaf is Dak’s Twitter handle. I think Dak identifies with Rick — Humphrey Bogart — and his Café Americaine in Casablanca. What prompted you to develop that setting, and how did you come up with the character? Sterling Hershey: Yeah, well the Wheel originally appeared in Marvel Comics, and then Dark House Comics used it. I saw the concourse as a setting where the players could buy supplies for the adventure and where they could have encounters with rival groups. I also wanted an Alderaan connection, since the timeline was between Episode IV and V. I wanted the Empire to be around, but not completely dominating. I hadn’t thought of the comparison to Casablanca until you just mentioned it, but yeah, I can see that. And as for the Brux character I liked coming up with the idea that this Alderaanian could end up turning Rebel. John “Dak” Morton: Hey, before we finish, what grabbed you most about Celebration Anaheim? Sterling Hershey: The numbers at Anaheim really surprised me. I’d been to the past two Celebrations in Orlando, but this one, I mean, that line snaking down between the two hotels on the first day to get in was unbelievable. I thought I would get there early enough to see the trailer, but like everybody else out there, I first saw it on my phone. Yeah, I’d just got inside the building, but I was still in line. I loved it. 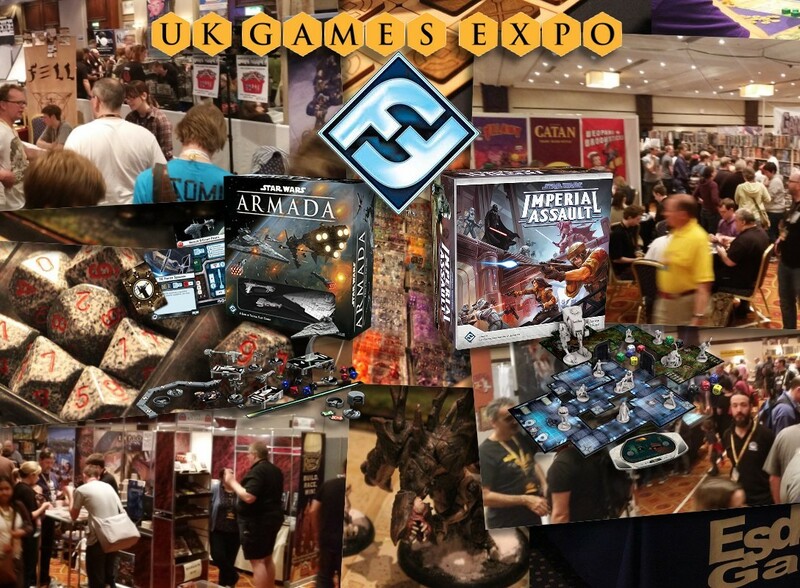 John “Dak” Morton: How did the FFG tabletop games go for you? You wrote on your blog it was a Celebration first. Sterling Hershey: I ran a demonstration game for TheForce.net. For Forcecast actually. We ran it live on the air. It was streamed. 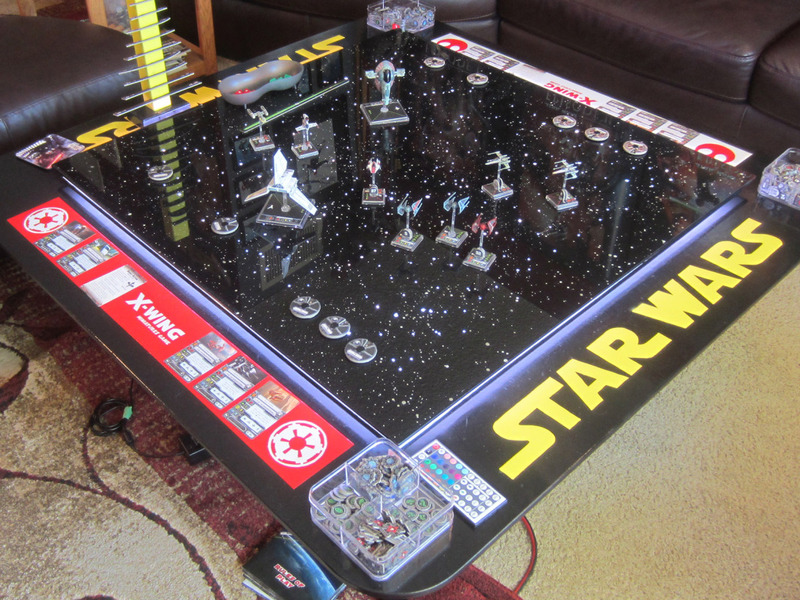 They have a gaming podcast called “Sabacc Table.” I’ll provide the links for you. [The links follow below — Dak.] The standard number of roleplayers is between four and six players, plus a gamemaster. We had five, all pre-screened, but happened to be experienced roleplayers. It went really, really well. 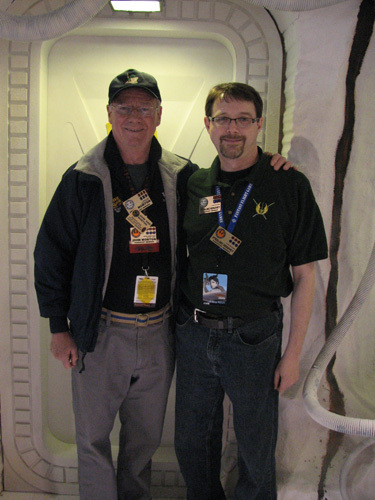 John “Dak” Morton: And lastly, your Fantasy Flight panel? 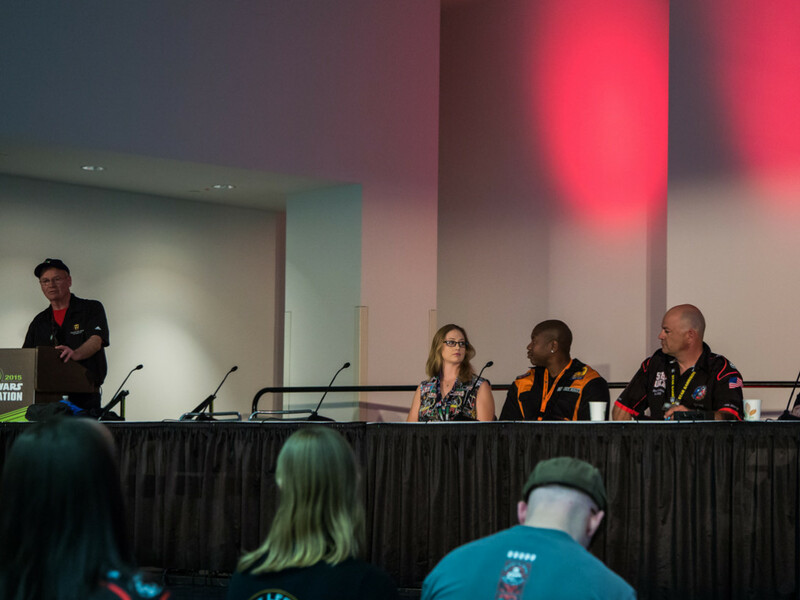 Sterling Hershey: The Fantasy Flight panel featured discussions on all the Star Wars game lines and future product reveals, like for X-Wing and Armada fleet combat, both of which use miniatures. I was particularly surprised by the wide variety of people in the audience. At GenCon and gaming conventions, you only get gamers coming to the panels, as you’d expect, but this crowd included many who were not gamers. John “Dak” Morton: Sterling, this has been most informative. Let do this again. Maybe when our paths cross again on our way to the Outer Rim. Sterling Hershey: Sure. When I’m going out that way, you can always find me at Tasia’s. 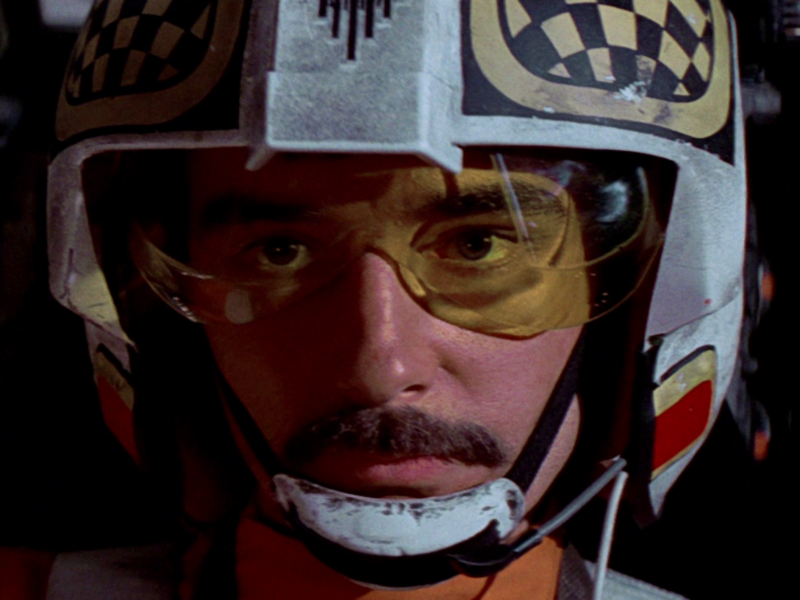 John appeared as Dak, Luke Skywalker’s back-seater in the Battle of Hoth in The Empire Strikes Back. 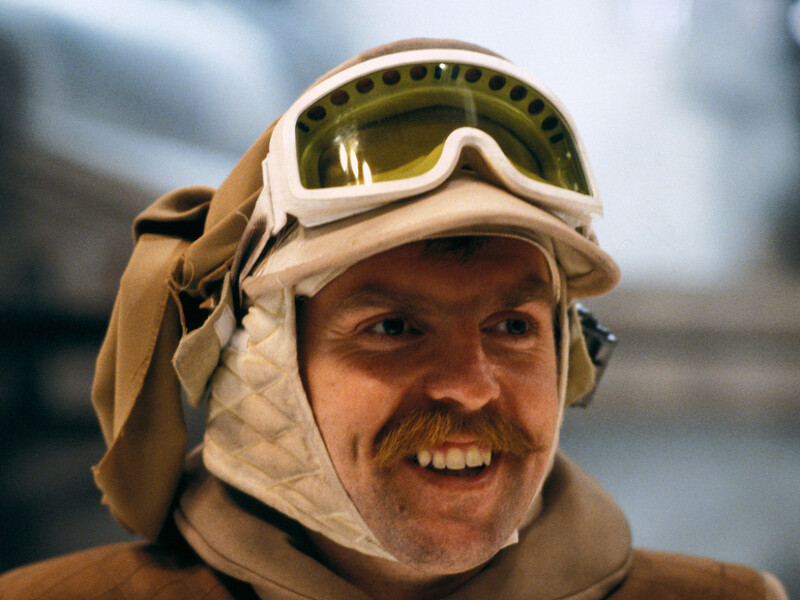 He also appeared in the film substituting for Jeremy Bulloch as Boba Fett on Bespin when he utters his famous line to Darth Vader, “He’s no good to me dead.” Follow him on Twitter @tapcaf.